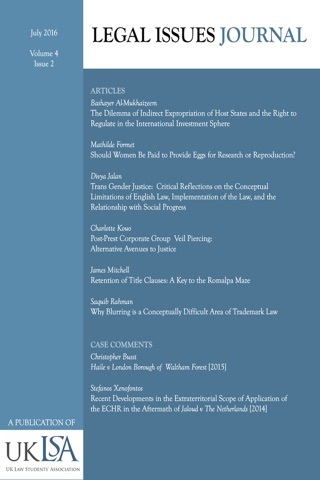 Legal Issues is an international journal managed and published by the UK Law Students’ Association (UKLSA). 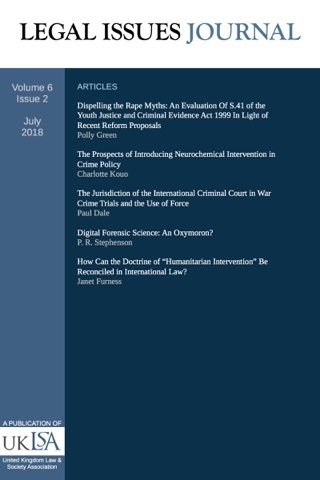 The Journal publishes fine research in all fields of law on the basis of its contribution to the society, originality, interdisciplinary interest, and elegance. Legal Issues also provides important news and interpretation on changes in the legal world and coming trends affecting law, lawyers, and society. It aims first to facilitate a forum for the sharing of knowledge, news, and trends concerning the application of the law throughout the globe and for further development in all fields of law. 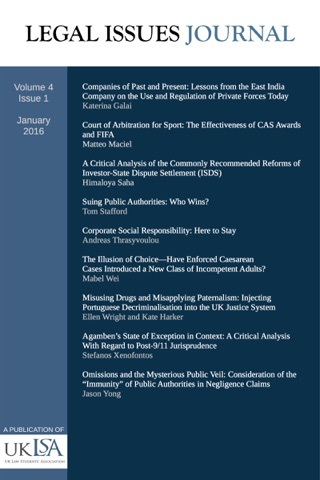 Second, the journal seeks ensure the dissemination of fine accessible work to the public throughout the world. Ukrainian Sovereignty and Territorial Integrity – Has it Been Breached? 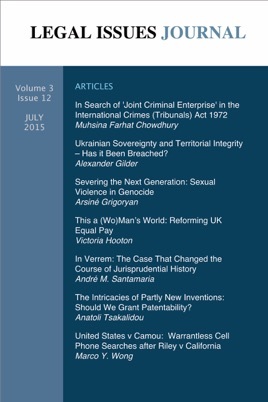 The Intricacies of Partly New Inventions: Should We Grant Patentability? 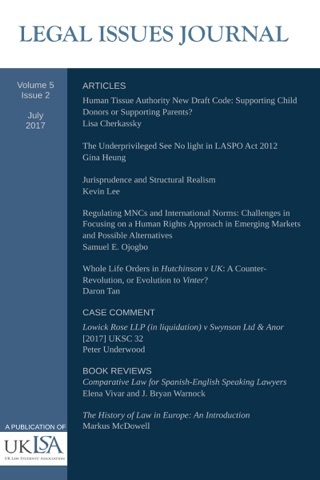 Whole Life Orders in _Hutchinson v UK_: A Counter-Revolution, or Evolution to _Vinter_?